Economic hard times hurt many Americans, but for men and women who have served in the US military, economic hardship may lead to additional challenges. Our service men and women, after multiple tours of duty, some suffering from post traumatic stress from combat tours, are not easily employed. 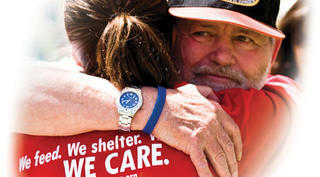 They face homelessness or imminent homelessness. For veterans experiencing a housing crisis, Supportive Services for Veteran Families (SSVF) is designed to assist with housing stability. Housing is the first step to reintegration to society and to employment. Eligible veterans receive case management and referrals to Veteran Administration (VA) and community resources. For the purpose of securing or maintaining permanent housing, participants may be eligible to receive short term financial assistance. The SSVF Program provides eligible veteran families with outreach, case management, assistance obtaining VA benefits, other supportive services and financial assistance. 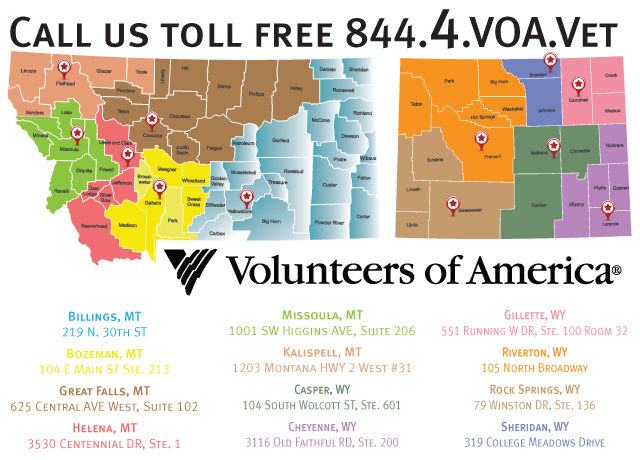 We are proud to be able to serve veterans from the entire states of Montana & Wyoming. We have ten offices located across the two states with service coordinators reaching out to the surrounding communities to serve veterans. The offices are open Monday through Friday from 8:00 a.m. until 5:00 p.m.